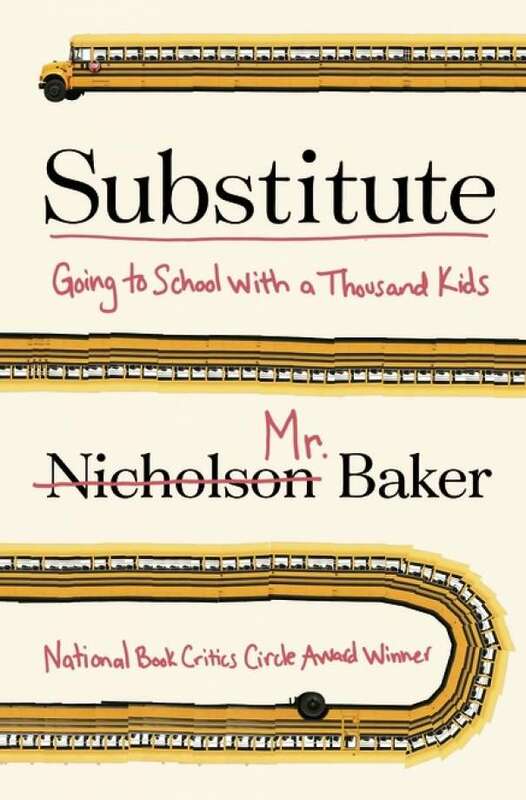 When it first appeared in hardback eighteen months ago, Nicholson Baker’s Substitute: Going to School with a Thousand Kids received feature-length coverage in many of the high-end American journals: The Atlantic was so enthusiastic they reviewed it twice, claiming it delivered ‘a message about education that Americans still need to hear’. Yet in Australia, no-one touched it. This seems a shame. And it is as a linguistic exhibit that Substitute is particularly memorable. Baker is sensitive to the unique vernacular of the classroom: the spontaneity and exuberance and vitality of children’s language. In particular, he has captured how students interact: how they banter, celebrate, jest and bicker, and how they will start riffing on a topic with the wit and innovation of a page of dialogue scripted by HBO writers, or introduce non-sequiturs as surreal as a sentence in a William Burroughs cut-up collage. Baker’s students’ conversations range from what to do with a captured leprechaun to whether you could run, or just speed-walk, away from a zombie apocalypse. 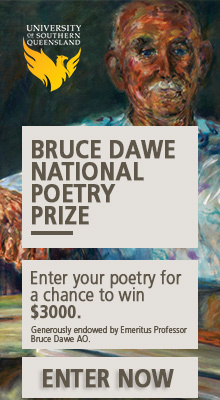 In my own classrooms I have heard Year 11 students debate the merits of Justin Bieber’s oeuvre while annotating Sassoon poems, and Year 8s create Dexter-themed haiku about ‘burying the body’. No matter where they occur, the interactions of teenagers have their own distinctive and bizarre linguistic flavour: the slang may vary across countries, but the creativity and irrepressible energy are the same. Of course, a teacher’s challenge is to harness that creativity and energy and direct it towards what is being taught. Substitute argues that this happens all too rarely, and in this way too the book is memorable, though less reliable. Baker becomes increasingly critical of the education system he is teaching in: he describes over-authoritarian teachers, malfunctioning technology, inane worksheets, badly phrased rubrics and erratic, ‘terribly written’ textbooks. Classrooms in Substitute are primarily places of chaos and bewilderment; he christens one English lesson ‘torture by word-list’. Accompanying these criticisms, Baker is deeply sympathetic to the frustrations of the students who have to suffer the system’s failings: the ‘choiceless, voiceless high school kids’, as he calls them, who ‘have nothing but music to hold on to – music, and video games, and sports, and pictures of their dogs’. Is this chaos and bewilderment also true for the Australian student? Sometimes. Even once you fix the technology and buy a sensible set of textbooks, it is easy for teachers, who are often in a state of high-alert for most of a lesson, to forget how the class is actually being seen by those in the hard plastic chairs. Certainly, most teachers have had the mortifying experience of sitting down to talk with a student halfway into a term, and then realising they have absorbed almost nothing of what you thought you were teaching. It is as though the two of you were in different classrooms. Perhaps you were. Making a similar point, a perceptive article in The Washington Post was written by an experienced teacher who shadowed a student for two days, and concluded that ‘it was so eye-opening that I wish I could go back to every class of students I ever had right now and change a minimum of ten things.’ With his outsider’s eye, and his sincere compassion for the students, Baker is offering a similar lesson: reminding us of how confusing and exhausting a classroom can be to a student on a bad day. But teachers get better at turning those bad days into good days – and, on a good day, they work with the students to translate the curriculum into something vivid, coherent and exciting. This is one of Substitute’s limitations, which not only applies to our system, but also, I suspect, for his own: Baker doesn’t look at good days enough. And while he is an excellent substitute teacher – kind, intelligent, funny, dedicated – he was only in the classroom for twenty-eight days, which were spread over several different schools. So his perspective is restricted and his analysis of educational policy simplistic. At one point he grumbles: ‘One grown-up can’t teach twenty digital-age children without spending a third of the time, or more, scolding and enforcing obedience.’ Wrong. Of course they can, but you might need to get to know the students and establish some credibility and respect with them – which takes more than a couple of days. Substitute is jaw-droppingly, head-shakingly long (719 pages). It is exhausting, and may have been intended to be. Baker says at the outset, and these are his italics, that he wanted to convey how ‘busy and complicated and weird and long every school day is’. He succeeds, and never before have I empathised so completely with the pain of a Year 9 in sixth-period biology class on Friday afternoon. But perhaps the endurance test that Substitute presents has helped it stay with me. It is now nine months since I read it, and to my surprise, I still hear echoes of it in the classroom with me today. It is not so much Baker’s opinions that linger, but rather his earnest appreciation of the children’s voices, and his sympathy with their spirit. Hearing students’ voices, and understanding the worlds they reveal, are such important components in that act of translation that all teachers are trying to bring about. Baker’s act of ultra-long-form listening amplifies those voices to make them harder to forget. This makes Substitute not only valuable, but also – as we approach a new chorus of media commentary on NAPLAN and Gonski 2.0, almost none of which will feature quotes from actual students – quite timely. Thomas Robinson is a Sydney-based teacher and writer. I can suggest a word list: win the class over first; teach kids to think rather than regurgitate facts; understand that there are numerous different intelligences and learning styles and attempt to accomodate those in each lesson; make learning fun; enjoy yourself too. What a gig! Who could ever be paid enough to implement all that, every day, each lesson?